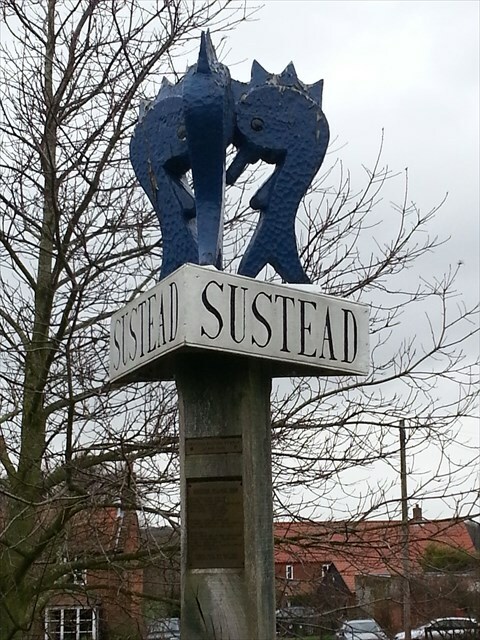 Sustead is a small peaceful village in North Norfolk, which has a thriving spirit of community. It is a mixture of good-sized houses, cottages and converted barns, which show its history of agriculture. 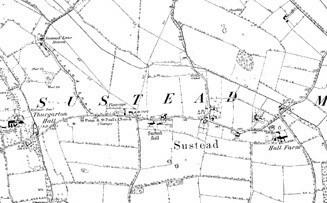 The village is mentioned in the Domesday Book and over the years has been know as Susted, Sutsted and Southstede - all probably deriving from the Anglo-Saxon word for Southern Place. St Peter and St Pauls Church lies to the west of the village and dates from Saxon times but has Norman, Tudor and Victorian alterations and additions. It has a 48foot round tower and has a single bell. The old village hall was built in 1936 and known as the Coronation Hall, it was razed to the ground by a fire started through stubble burning in 1977 and the new village hall is in what was the old Chapel. The famous and probably first person to coin the phrase ‘landscape gardening’ Humphry Repton spent most of his life in Sustead Old Hall which was built in 1663 and for many years was part of the Felbrigg estate. The Sustead Village Millennium Book was ‘launched’ on 1 May 2000 and dedicated to the memory of Michael Williamson 1970 – 1998. The book follows a route through the village with entries from the families now living there and it is like a latter-day Domesday Book. On the same day the new village sign which depicts the three dolphins of the Damme family was unveiled. Jurer jbhyq lbh uvqr vg? Ybgf bs cbffvovyvgvrf urer.